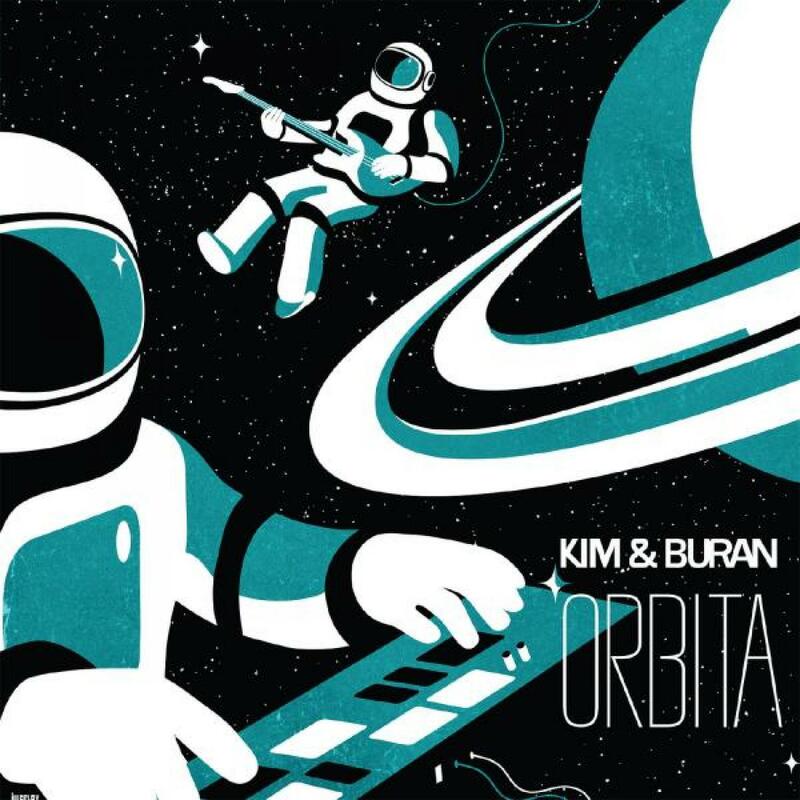 Following on from two extremely well received singles on Nang we are pleased to release a mighty-fine album from the Saint-Petersburg based Kim and Buran. The group have been around on the disco scene for nearly 12+ years now and with their unique styles of twists and tones. A hook up with Nang was definitely overdue. The foursome cover a kaleidoscope of styles with their music, brushing through the phases of disco, soul, funk and electronic sounds. The group seem to have a fondness for travel... particularly of the airline and space variety. Its not only the song titles that reflect this, itâ€™s the constant momentum and escapism within the music itself. 70s funk crosss-overs, cosmic pads, arppegiated firefly synths all power the tracks along. All complimented and enhanced with the rolling guitar riffs and picked lines. Tracks such 'Voyager' moves towards the slightly darker edges of the cosmos, the pointed bass line marches through the back of the mix and underpins the gradual accession from the keys whilst the enigmatical pads drift from peak to peak as you loose yourself in the shadowed ambience that is the deep, cosmic skill of Kim and Buran. Rounding off the release is 'Fly To Sea' which brings you back down to the terra firma with a graceful bump, a funky riff is rolled out at you in full force closely guarded by the cosmic flare you have become accustomed to whilst you've taken the cosmic journey. Its not all about travel however with tracks such as Teleskope and Running On The Waves Kim & Buran don their balearic hats to server up a permanent slice of Summer. Brushing away those wintry blues. Nang fans enjoy the trip. And it is a trip. Roland Juno-106,Yamaha cs-5,Korg ms-2000,Electronica EM-25.